Folle casseruola | PER CHI LEGGE L'INGLESE: PUNTARE SULLE DONNE PER METTERE FINE A FAME E MALNUTRIZIONE NEL MONDO. PER CHI LEGGE L’INGLESE: PUNTARE SULLE DONNE PER METTERE FINE A FAME E MALNUTRIZIONE NEL MONDO. Home news PER CHI LEGGE L’INGLESE: PUNTARE SULLE DONNE PER METTERE FINE A FAME E MALNUTRIZIONE NEL MONDO. Un bell’articolo uscito su The Guardian qualche giorno fa. Women are crucial: We simply cannot end malnutrition if we don’t invest in women, and not just because of their hugely important role as mothers. Women are critical to food and nutrition security due to the enormously important and myriad roles they play in agriculture, in their communities as workers and as producers. Recognise inequality: Of course we have to recognise that there are multiple competing demands on women, especially the poorest. What’s needed is a supportive system to allow women to make the choices that work best for them and their families. Sometimes this goes to the heart of complex and unequal power relationships in the family and the social and economic status of women in the poorest communities. Breastfeeding powers the next generation: As the mother goes, so goes the child. Improving rates of exclusive breastfeeding is one of the best, most cost-effective solutions to ensure child survival and set the foundation for lifelong health. Successful breastfeeding promotion relies on tapping into ‘influencers’ in a woman’s life: doctors, mothers-in-law, celebrities or media. It is important for breastfeeding to be promoted as the norm. Covert breastmilk substitute promotion happens everywhere: An egregious tactic used to market infant formula is using medical professionals, especially pediatricians and nurses, to ‘prescribe’ or push formula onto mothers. I had it just happen to me when I gave birth to my second child here in the US a month ago. I was encouraged by doctors and nurses to ‘supplement’ my breastfeeding with formula on my baby’s second day of life. Medical professionals often don’t realise that their well-meaning advice can undermine a woman’s confidence to breastfeed and serve as a tacit endorsement of infant formula. Focusing exclusively on mothers is unfair, but gender roles have significance: Women are, more often than not, the primary caregiver in homes, and have a great deal of responsibility in defining their children’s eating patterns. But it would be unfair to stop there and to ignore the broader power and decision-making dynamics that govern and influence food security and livelihoods of families and communities. 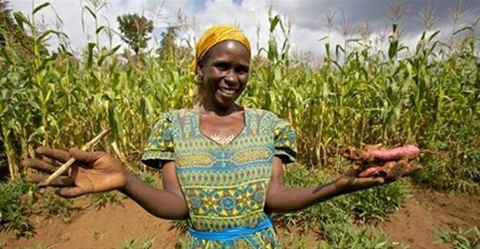 Empowered women leads to less hunger: The International Food Policy Research Institute published a study that found that as much as half of the reduction in hunger between 1970 and 1995 could be attributed to improvements in women’s societal status. Progress in women’s education access (which explained 45% of gains in food security) was nearly as significant as increased food availability (26%) and health advances (19%) put together. Men have a part to play in improving nutrition: Educating men to buy the right kind of food, doing home gardening, rearing cows, poultry farming, using safe water, building sanitary latrines and hygiene is as important as educating women. Child marriage affects nutrition: Despite huge progress in Bangladesh, more than half of the girls are getting married before 18. When mothers are babies, how do we expect babies to care for their own babies? To stop child marriage, we need to create safer environment and provide social and economic security to young girls in this society. Political commitment is critical. Don’t just focus on women and girls: Men and boys have a huge role to play and I’m afraid that many organisations ignore them in discussions. One very innovative strategy I’ve seen is the use of community theatre in Zambia and elsewhere in sub-Saharan Africa. The Food and Natural Resources Policy Analysis Network has used their research to develop a script used by a travelling theatre company to emphasise the importance of valuing women and girls in agriculture, and in communities overall. It’s a fun way for elders and men to realise all of the important roles that women play.